Please verify your E-mail ID!! * - Indicates required field. Note: We respect your privacy and will NEVER share your personal information (Name, Email or phone) to any third party. Serving satisfied clients for over 29 years. 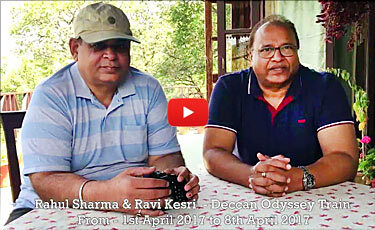 Jaipur, Ranthambhore and Pushkar in Rajasthan. Seven days touring across Rajasthan. The dust, food and nights different. Camel ride at Pushkar, Elephant ride at Pushkar and Jeep ride at Ranthambhore. Thanks to Rajendra Singh who accompanied us on his Tempo Traveller around the road all over. He's a perfect navigator whether to pick you from Airport/ Hotel or drop you for food or sightseeing ! Best tour service by Indian Holiday Pvt. LTD. Thanks to Indian Holidays for offering the hotel room. We would like to express how much we appreciated all your assistance and efforts to resolve problems throughout the tour! Our experience is unforgettable and we are quite sure that we would like to return to India in the future, mayby in a similar way.We will gladly recommend your Company to friends and relatives. Wishing you all the best and some pleasurable Christmas holidays soon to come! 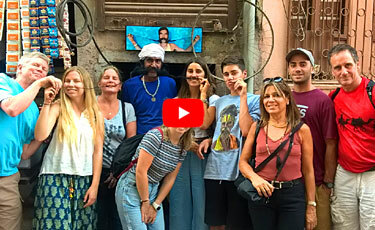 We are now in Jaipur and must congratulate you and your people for going out of your way to make our stay incredibility organised, being met and taken to our train carriage and the wonderful tour of Agra. The 3 Hotels were first class and the staff very friendly. The service was first class and the four of us will highly recommend you and your company to our friends in Australia.